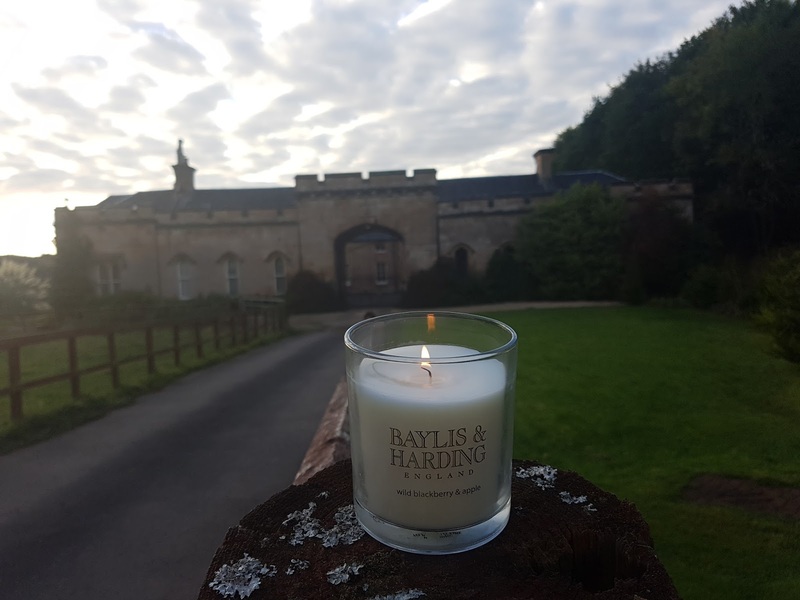 If there's one thing you should know about me, it's that I have a huge love for candles - and I mean HUGE like Barbie loves Ken, or Kim Kardashian loves publicity - that kind of love. I just think they make a gorgeous addition to any setting, add a candle and you go from bland to grand. That being said, I'd like to welcome you to the start of a new feature on the blog - #wickoftheweek. Basically I'm going to choose a different candle each week and tell you a bit about it. I'll aim to post these on a Wednesday but will let you know of any changes! I'm not going to lie guys, it's a chance for me to feed my obsession and take cute photos all in the name of providing a service to you! The first one I'd like to talk about is one that was bought for me by my husband, he saw me drooling over admiring it and picked it up for me, it's the Bayliss & Harding Wild Blackberry and Apple candle. 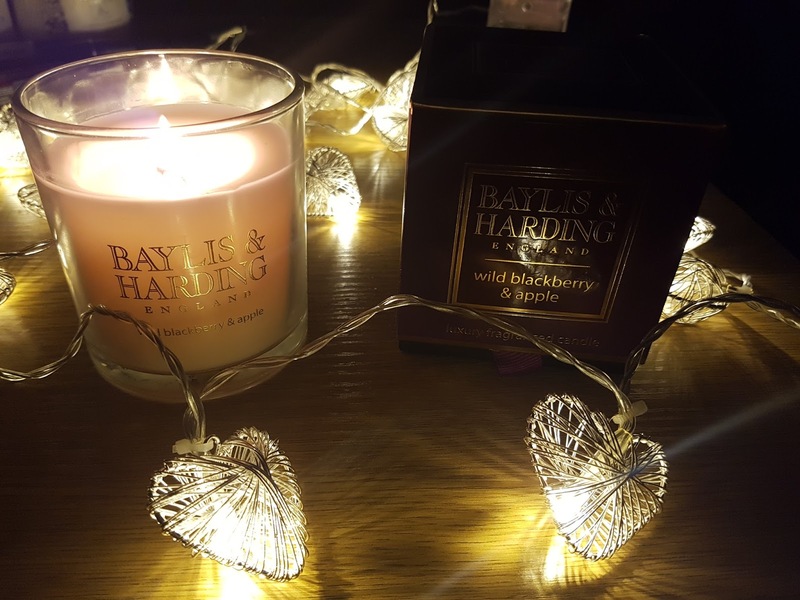 The first thing that drew me was the packaging, the candle comes enclosed in a beautiful mulberry/plum coloured box which is unusual for a more affordable candle. Furthermore the box opens up from the bottom at the front, so it definitely gives the candle a more luxurious feel. When you smell it at first unlit and in the box, it's definitely a sweet scent, it's a scent that draws me back to my childhood for some reason, it must be a sweet I had when I was wee, like blackcurrant lozenges. Sweet scents are not usually my thing, I'm definitely more attracted to a spicy, musky scent however I thought I'd give it a try and see what its like. When you light the candle, it's incredible how the scent changes, it's like home baking! You honestly feel like you are in a large country kitchen with a warm apple pie in the oven - yummy! With a burn time of 30 hours, it's sure to be a recurring scent in my house this Autumn.